People go to the gym to lose weight, improve their fitness and generally aim to be leaner, sexier and stronger human beings. There is a lot of information out there on what works for fitness, and the results are very individual depending on how your body burns your food. Being healthy is the overall go when you head to a workout, but you have to pair this with the right foods to ensure that you get the results that you want. Spinach. We’ve all seen Popeye pack a punch after scoffing down a can of spinach, right? Well, you don’t have to chow down a can of spinach at a time, but it can help your health and fitness to choose it as an option. It’s been found that spinach helps your muscles to use less oxygen when they workout, which improves muscle performance. It’s a muscle food if there ever was one! Watermelon. Whether you eat it with the seeds or without is neither here nor there, because watermelons are rich in L-citrulline, which is an amino acid that helps your heart to recover its normal rate, as well as aids in muscle soreness. Tomatoes. If your aim is to be healthier alongside boosting your fitness, think about tomatoes. These juicy fruits (yes, fruits) are rich in lycopene-a, which is a natural antioxidant that works to protect your cardiovascular health. Your muscles can be damaged during exercise, and tomatoes work to reduce that muscle damage. Eggs. For those who frequent the gym often, they know that protein is a big deal. Eggs are made of 50% protein, and eggs also consist of all eight of the essential amino acids that are vital for muscle and bone cell growth. Not only are they delicious and can be prepared in different ways, they’re a great source of calcium, iron and vitamins. Bananas. Before or after a workout, a banana is a good idea. It’s as beneficial to eat as it is drinking an energy drink. Stuffed full with potassium, antioxidants and slow release carbohydrates, bananas offer muscle repair, energy boosts and are the healthier option than a chemically-laden energy drink. Honey. When it comes to breakfast time, honey is right up there as a top choice to pour over oatmeal. It’s soothing, easy to absorb an is loaded with enzymes that boost energy. It’s a natural sugar and calorie source, which works far better for you than the refined sugars out there. 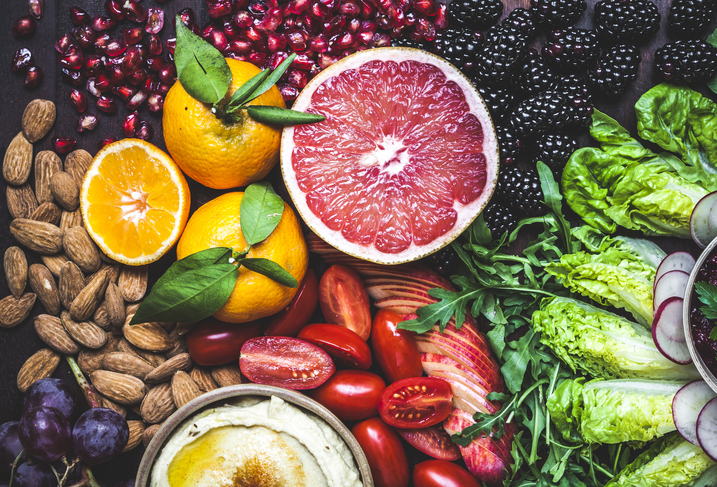 The answers to the perfect fitness food will differ person to person, but these six options are right in front of you and will make a difference to your health right now. Visit our Facebook page for fun pre & post workout food ideas and even share your own! We’re always open to hearing about what delicious snacks our readers gravitate to.